Vida Lenta - Ponta Mamoli - Ponta Mamoli Accommodation. 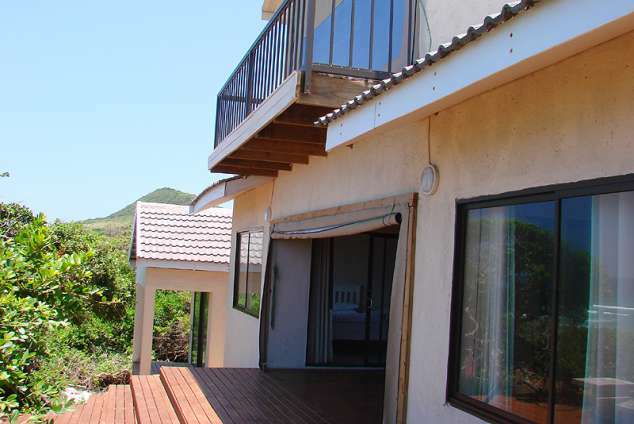 The house is situated in the Baleia Azul Estate in Ponta Mamoli on a beach front stand with magnificent views over the ocean. The estate offers 24hour security. The famous Fredericos Shore snorkelling spot is situated only a few minutes walk along the beach from the house. If you are looking for a remote holiday, this is your answer. The open plan living area opens up with sliding doors to the large deck with dining area. The kitchen is fully equipped for self catering, with all the necessary appliances. The house does not have a TV or radio. 4562 page views since 09 Mar, 2016. Last updated on 11 Mar, 2018.